Is your firm ready for the inevitable year-end process? Sure, year-end is always a stressful time. However, it doesn’t have to be overwhelming if you make a plan, document your actions and prepare Deltek Vision. Don’t be a headless chicken running around trying to get through the year-end process. Let’s review some considerations and tips to make your year-end close just a little easier. Communication | Communicate with the rest of the firm that year-end is approaching and provide the important dates that they should be aware of, such as final timesheet due date, final expense report due date, etc. Reconcile Monthly | Stay on top of your monthly reconciliations. Nothing adds to the stress of year-end more than having to perform several months of reconciliations that could be have been done monthly. Recurring Transaction Files | If there are yearly JE’s or other transactions that you only post once a year, consider creating a recurring transaction file. Each year those files will already be in place so you don’t have to re-create them from year to year. Order Year-end Forms Early | Why wait until the last minute to order your 1099 and W-2 forms? By ordering your forms in advance, you know they are on hand when you are ready to use them. In Vision, opening the 1st period of your fiscal year also opens the new fiscal year. If your security role permits, you can still process in the prior fiscal year if needed. There are a number of Initialization Utilities that need to be performed in Vision. Take note that these utilities need to be completed once per fiscal year. Vision will generate a posting log for the initialization utilities, which are available in the Transaction Center under the Posting Review Report. If your Vision Database is set up with Multi-company functionality, the Initialization Utilities need to run in each company. In addition to the information above, you can view the 2016 Year-End Vision guide in the Deltek Customer Care Connect Portal here. Take note that Vision Year-End updates in 2016 will be provided for versions 7.4, 7.5 and 7.6. If your firm is running Vision 7.3 or older, you must upgrade to a supported version to receive a 2016 year-end update. Please refer to the Support Assurance Product Lifecycle for maintenance phase descriptions. Is Your Firm Prepared for 2017? Following the suggestions above should make for an efficient completion of the tasks required for 2016 year-end. Don’t forget to make sure your firm is using the latest version of Deltek Vision - 7.6. 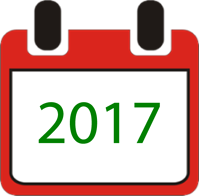 If you need any assistance with completing your year-end or moving your firm to version 7.6, just let us know!